SEATTLE – Brad Evans blasted in a hard shot in the 28th minute and Eddie Johnson added an insurance goal during second-half stoppage time to give the Seattle Sounders a 2-0 victory over the Colorado Rapids in the MLS Western Conference knockout playoff game Wednesday night. The No. 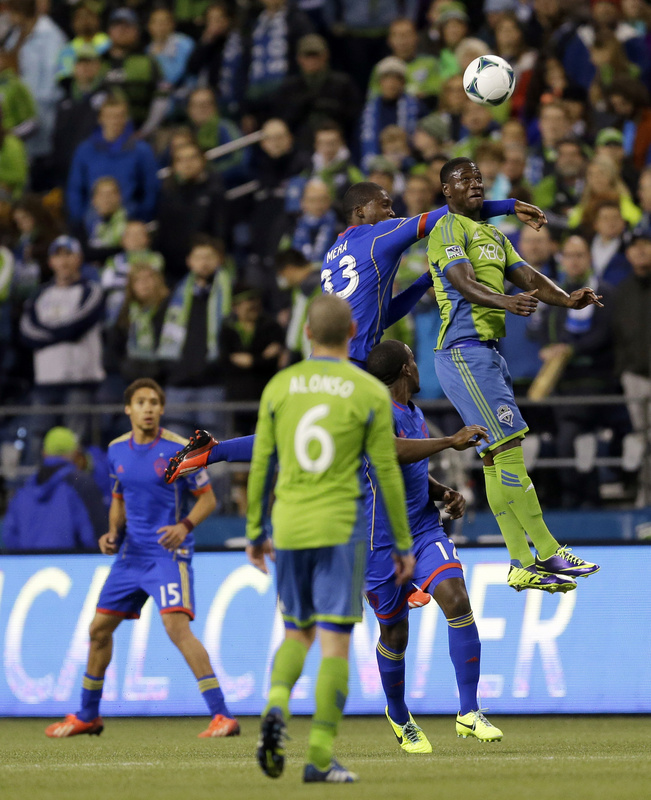 4 seeded Sounders (16-12-7) limped into the postseason on a seven-game winless streak, but advanced to face the No. 1 Portland Timbers in the two-leg, aggregate-goals West semifinals. The first game will be Saturday in Seattle. The Sounders played the final three minutes of regulation and five minutes of stoppage time a man down after goalkeeper Michael Gspurning was red-carded for handling the ball outside the penalty area. Evans got his scoring chance when Colorado’s German Mera headed a cross out of the penalty area. Evans settled it at the top right of the box, took two dribbles in and ripped a hard shot to the back left corner. It was his fifth goal of the season and his second career playoff goal. Johnson sealed it midway through the third of five minutes of stoppage time when he deked around Mera and beat Colorado goalkeeper Clint Irwin to the back left corner. Seattle had not won since a 2-0 shutout against Real Salt Lake in Seattle on Sept. 13, going 0-4-3 in its final seven regular-season games. The No. 5-seeded Rapids finished the season 14-12-9. Colorado lost its last four road games of the year, all by shutout.